We took these notebooks through the pen and pencil ringer and can’t tell them apart. So when our COO ordered the Amazon Basics Version of my beloved book, at a mere $8.74, I thought there was no way it could come close. The verdict is in. 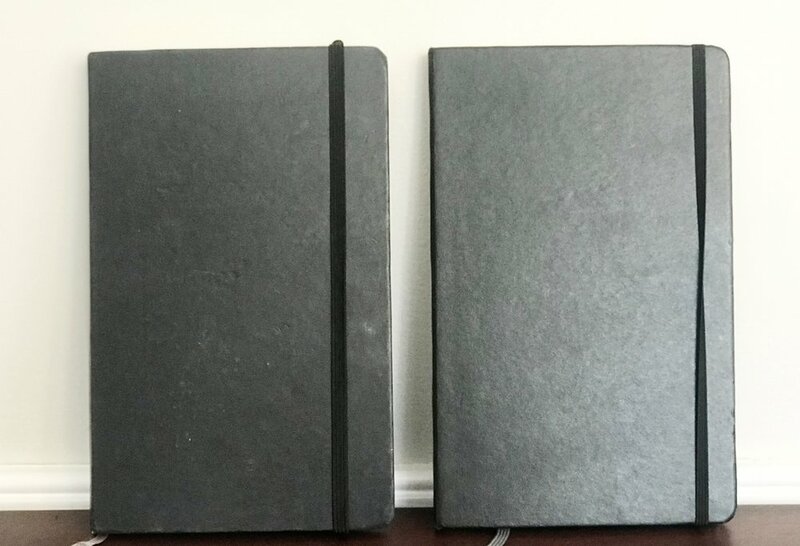 I can’t tell the Amazon Basics from the Moleskine at first use. We tested multiple types of pens and markers on it to see if the bleed was different or perhaps they were different paperweights, but a difference was not detectible to the naked eye. Both notebooks have the handy back pouch and string bookmark. When using a pencil against the grain of the notebook, the paper made different sounds, but didn’t show differently. After months of use, we did see that the Amazon Basics notebook frayed at the edges more than the moleskin, but this wasn’t a dealbreaker for us. PSA: We do NOT get paid for reviews!